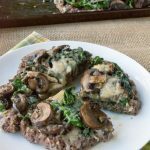 Low Carb Italian Meatza Pizza and my review of “The Ketodiet Cookbook” by Martina Slajerova of the Ketodiet App blog. A Meatza Pizza has been on my foodie bucket list for a long time! 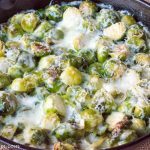 I had never heard of one until I started researching more and more about low carb recipes. 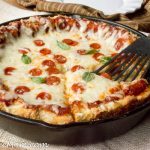 It’s essentially a pizza “crust” made just from the ground meat you choose to use. 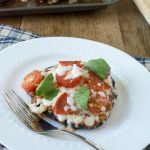 When my friend Martina asked me to review her new cookbook, I was super excited to see her recipe for a Meatza pizza and knew I HAD to make it for my family! 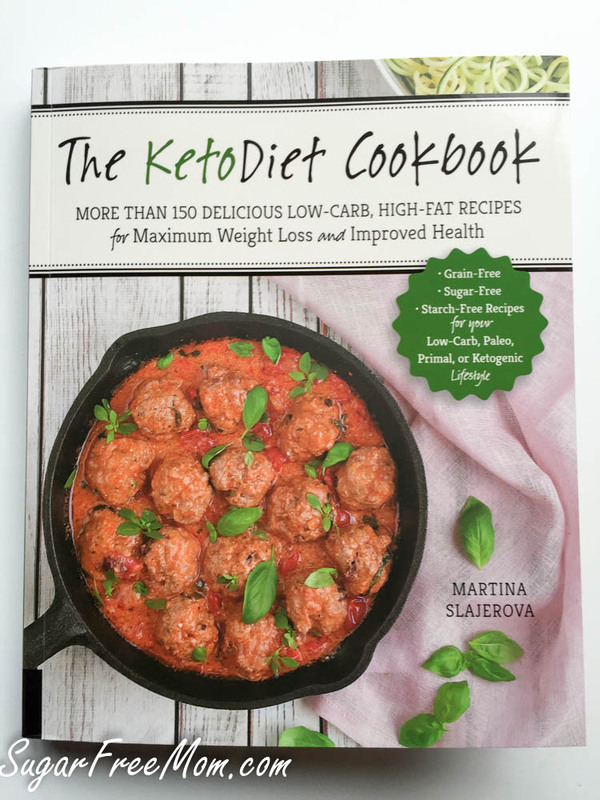 What’s wonderful about this cookbook is that she provides great explanations for those just starting out on a low carb, keto diet. She writes in every day language that everyone can understand and doesn’t get too technical, which I appreciate. 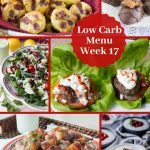 Her cookbook is filled with over 150 low carb recipes! 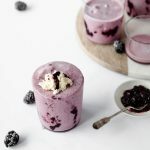 Breakfasts, snacks, lunch ideas, soups, salads, main meals, drinks and sides! Oh and of course desserts! 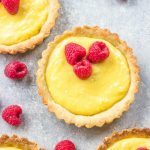 Although not every recipe includes a picture, the ones that do have pictures are worth drooling over! Her photography skills are ones I strive for. Also important to me are nutrition facts. I don’t want to figure out the carbs, etc. I love that each of her recipes include all that info. 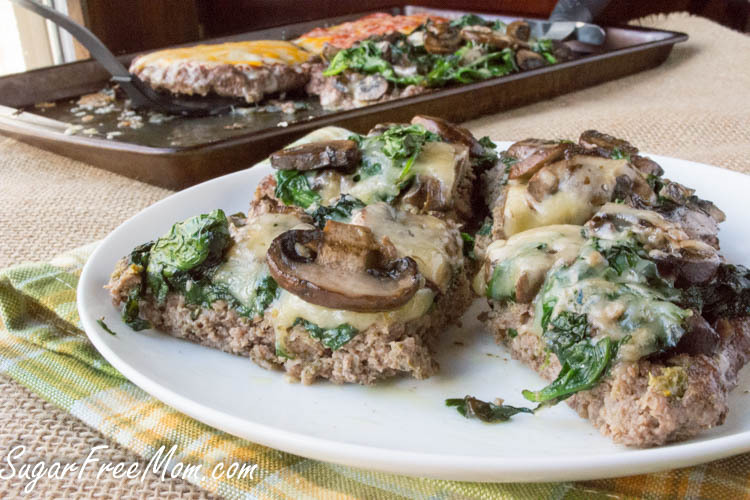 Her recipe for the Meatza used only the spinach, mushrooms and cheese as toppings. While I knew hubby and I would enjoy that, I was certain my kids would not. While they do love and eat spinach regularly, they do not want it on their pizza! So for my boys I added cheese and pepperoni and for my daughter who doesn’t like anything spicy I just used cheese. I love any recipe that lets me personalize for my family. 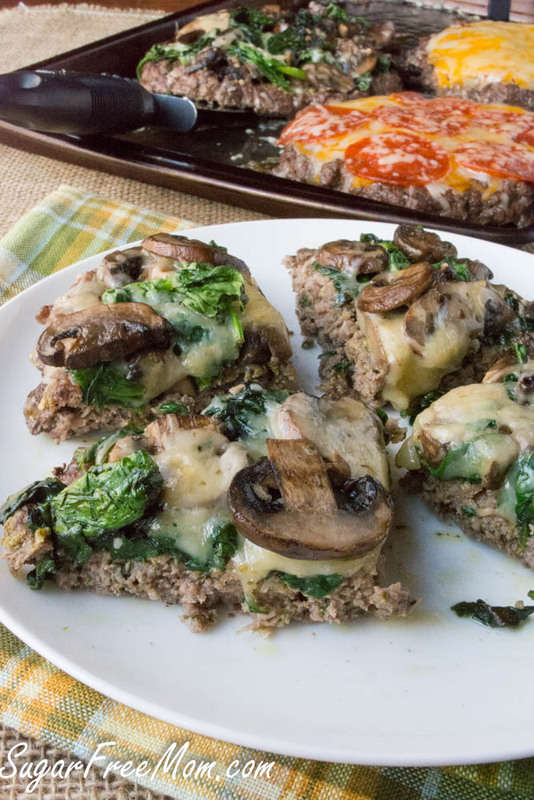 The nutrition info below is if you were making one large or 4 mini pizza using just spinach, mushrooms and cheese. It does not include the pepperoni toppings I used on some of the mini pizzas. Although I tried my best to measure the “crust” to half inch thick, it might have still been to thick. I think if I tried for 1/4 inch thickness I would have more of a “crust”. One step I did add to this is that after the meatza came out of the oven and before adding toppings, I used a paper towel to pat over the meat and absorb the grease and oil off the top. 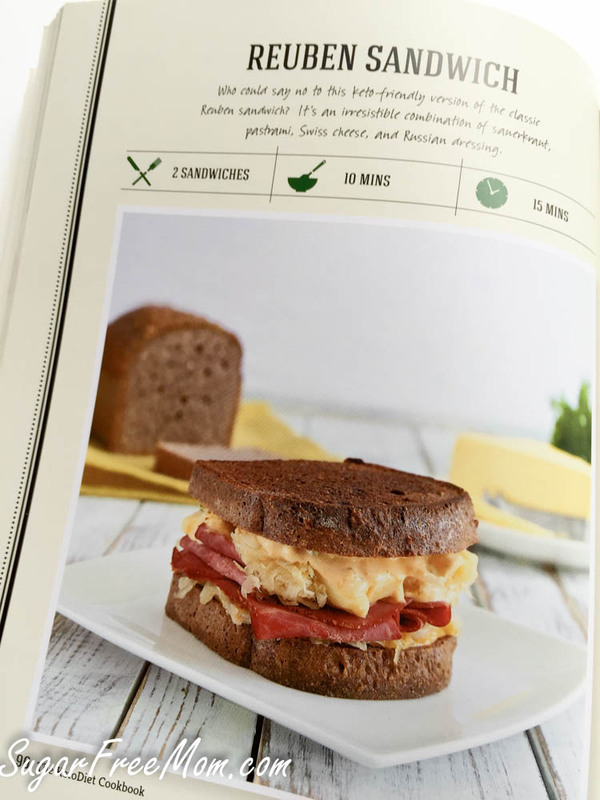 Looking for more details about The Ketodiet Cookbook? 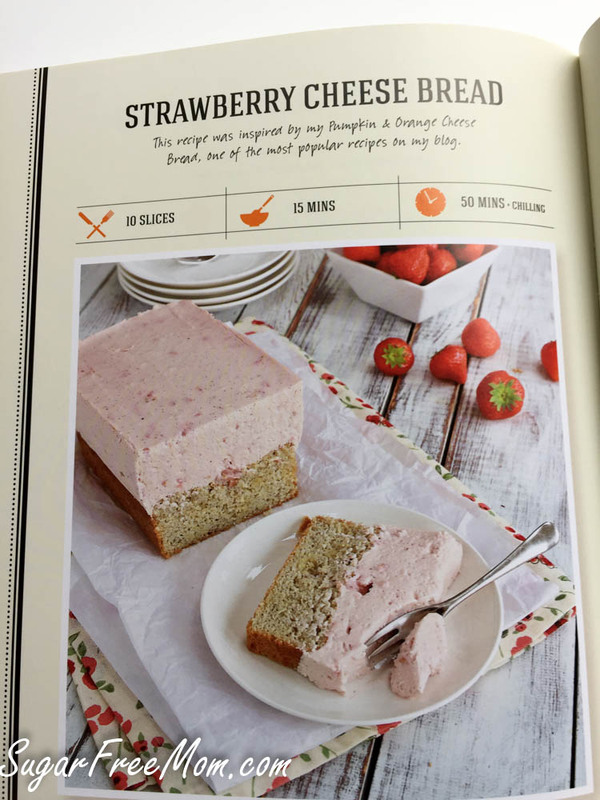 Check it out here and where to purchase this fabulous cookbook! 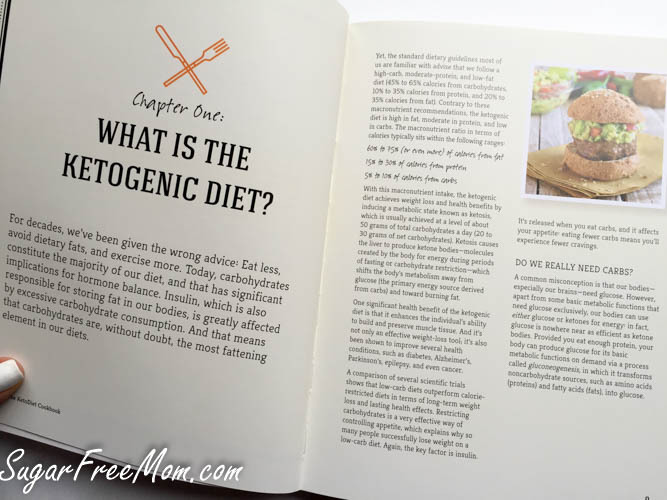 The Ketodiet Cookbook is worth it’s purchase in gold! 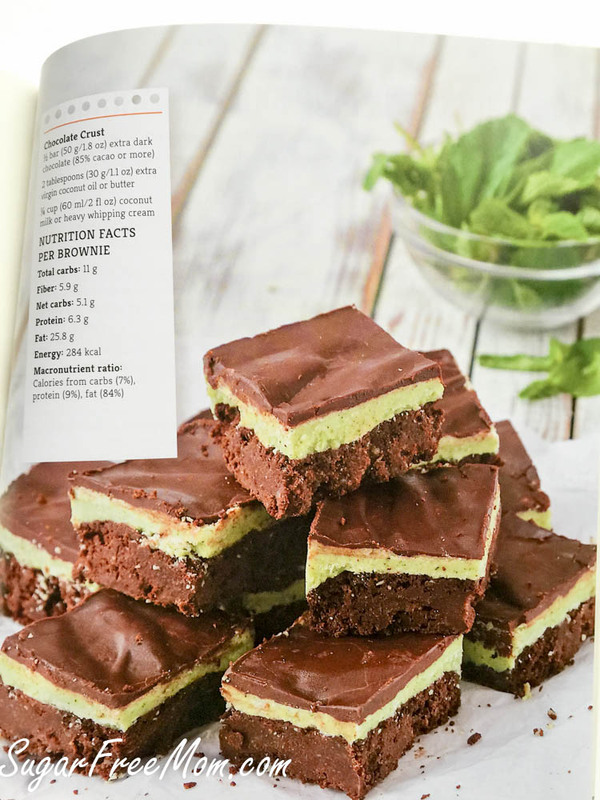 Martina’s easy to follow recipes are all you will ever need to make an easier transition to a low carb, keto lifestyle! In a bowl combine ground beef, oregano, basil, salt and pepper and mix well. You can either make one large pizza or 4 individual mini pizzas (which are easy to freeze for later). Using your hands form the pizza "crust" making it about half an inch thick. Wash and dry spinach if using fresh. Heat a large pan greased with the ghee or butter and add the crushed garlic. Cook for 1 minute. Add the mushrooms and cook for 5 minutes, stirring frequently. Toss in the fresh spinach and cook for 1 minute more. If using frozen spinach make sure it is defrosted and squeeze any excess water out before cooking. 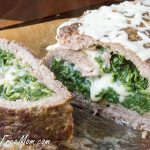 When the meat crust is cooked, remove it from the oven and spread pesto sauce on top. Add half the mozzarella cheese and all the spinach and mushrooms. Finish with remaining cheese and return to the oven for 5 minutes or until the cheese is melted. 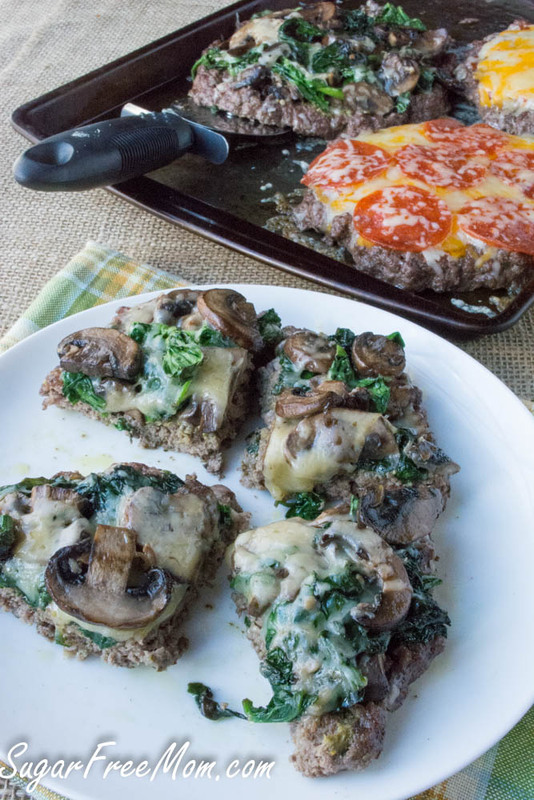 It is a sad statement on our society that the trend diet peddlers have people so scared of grain that they actually think that making pizza crust out of ground beef is in some way healthier. Wow. I’m not afraid of grains. 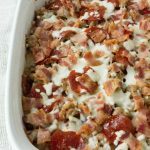 I just prefer, as does my blood sugar, to eat low carb and this is recipe is delicious without feeling like I’m missing out on traditional pizza. I have to agree. I started a keto lifestyle 10 days ago and wow!! I can definitely tell my body is in agreement with my change. I have so much more energy!! I’m loving it!! You need to educate yourself. My husband just cured himself of cancer and my sister of being on a dyalasis machine and diabetes. They did what’s called the Ketosyntric diet. It is low carb. So many people have lowered blood pressure that they no longer need meds including me. I won’t even mention weight loss without hunger. It’s life changing. Have you researched grains? They are literally the worst thing you can do for your blood sugar, far worse than some of the most unhealthy candy you can think of. Hi I am currently on the Atkins diet and got interested in the LCHF diet. 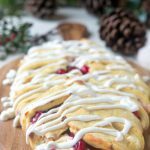 Saw this recipe and want to try it. Can someone please tell me what exactly the parchment paper does and why it i used alot in these types of diets? Is this considered the whole dinner? I ask because of the calorie count. It seems high to me. Thanks and don’t bash me all to heck. I am learning….. I feel it’s a whole dinner, just adding a side salad would finish it off nicely. 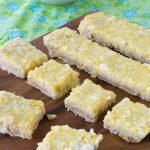 No reason parchment is used, my baking pans aren’t the best and not new so I always use it. If you’ve got a brand new baking pan then try it without. I’d never heard of Meatza before reading your post – how clever. 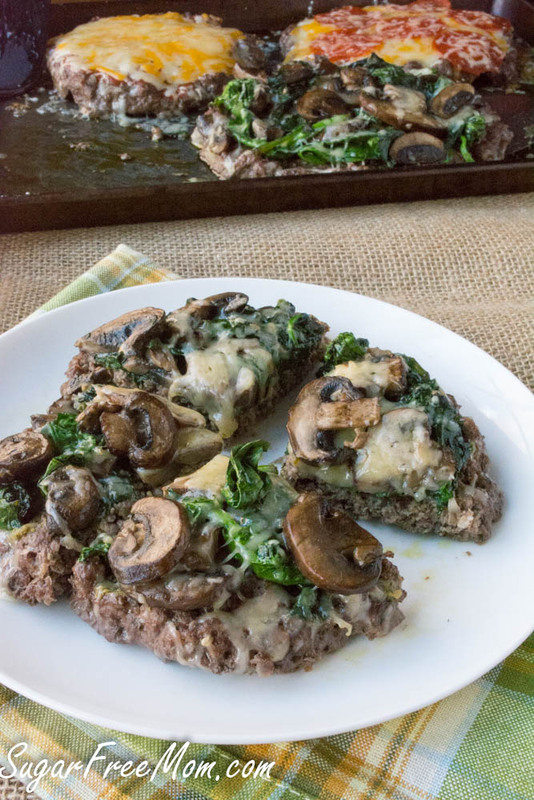 Although we are not big meat eaters I am inspired to try this since we all love pizza. Thanks for sharing! 1.1 lbs of ground beef sounds a bit odd? Why that exact number? Also, after baking the “crust”, shouldn’t you pour off the fat? No mention made of ground beef “%” either. Anything under 87% and I would say you would have a lot of grease to pour off. 93% would be better. How large a pizza do you get with using all the meat in one pizza. I’m looking at getting a 9″ or 12″ pizza pan for my Toaster Oven.